His meteoric musical career resulted in early debuts at the world’s most prestigious opera theatres and festivals, including the Teatro alla Scala of Milan (“Un Ballo in Maschera”, 1975); the New York Metropolitan Opera House (“Tosca”, 1974); San Francisco Opera (“La Bohème”, 1973); the Vienna Staatsoper (“Rigoletto”, 1974); London’s Royal Opera House (“La Traviata”, 1974); The Oper of Munich (“Tosca”, 1974); Chicago’s Lyrics Opera (“Un Ballo in Maschera”, 1976); and the Festivals of Salzburg (“Don Carlo”, 1976); Aix en Provence (“Roberto Devereux”, 1977); Edinburgh (“Verdi Requiem”, 1982) and Verona (“Carmen”, 1984). 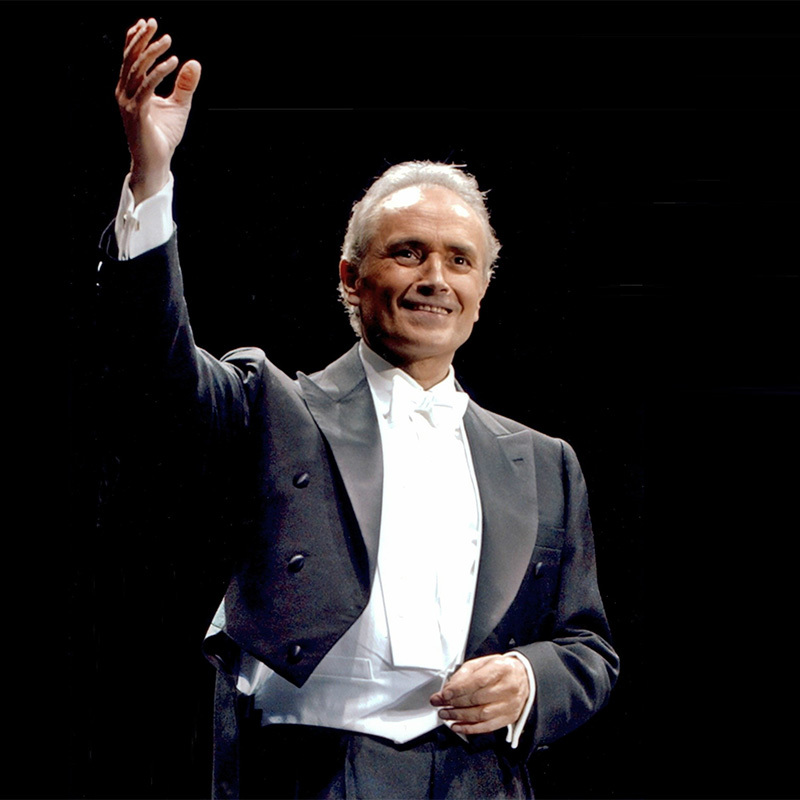 José Carreras has collaborated with the most renowned orchestra conductors, among others Herbert von Karajan (an artistic and personal relationship which lasted over twelve years and included performances in Salzburg, Berlin and Vienna), Claudio Abbado, Riccardo Muti, Lorin Maazel, Riccardo Chailly, Colin Davis, Giuseppe Sinopoli, James Levine, Carlo Maria Giulini, Leonard Bernstein and Zubin Metha, and with pre-eminent stage directors such as: Franco Zeffirelli, Jean Pierre Ponnelle, Giorgio Strehler, Luigi Comencini, Harold Prince. His repertoire includes over sixty operas, of which the following stand out: Andrea Chenier, La Bohème, Tosca, Werther, Don Carlo, Carmen, La Forza del Destino, I Pagliacci, L’Elisir d’Amore and Un Ballo in Maschera. Together with his opera activities, he has given frequent recitals in the world’s most famous halls. He has performed at Carnegie Hall and the Avery Fisher Hall of New York; the Royal Festival Hall, the Barbican and the Royal Albert Hall in London; the Salle Pleyel in Paris, at the Musikverein and Konzerthaus of Vienna, the Berlin Philharmonie, Suntory Hall and the NHK Hall in Tokyo, the Grosses Festspielhaus of Salzburg, the Philarmonie and the Hercules Saal of Munich, the Palau de la Música of Barcelona, the Teatro Real of Madrid and the Accademia Santa Cecilia of Rome. 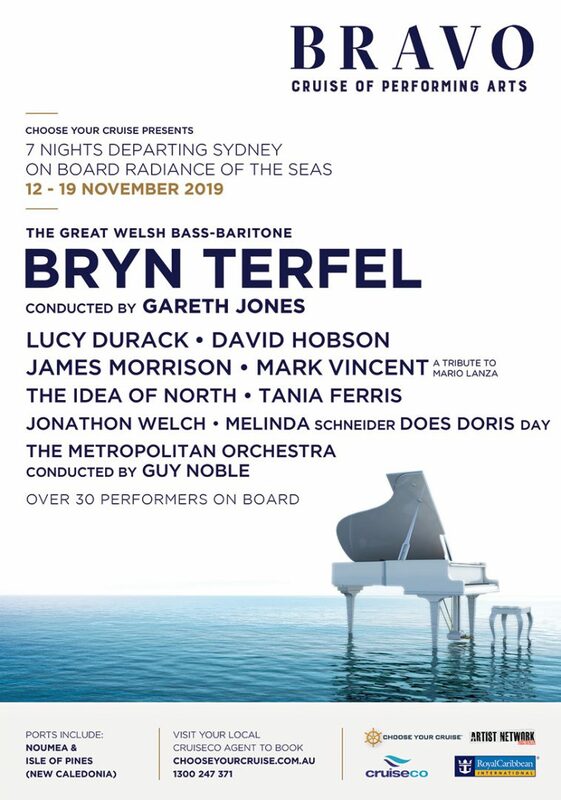 His wide concert repertoire includes over 600 titles of the most diverse styles ranging from the baroque to contemporary music. His extensive discography includes over 150 recordings, notably 50 complete operas, oratories, popular and classical recitals. He has been awarded many Gold and Platinum Discs world-wide. José Carreras has performed the leading role in several operatic films for Television, Cinema and Video, including La Bohème, I Lombardi, Andrea Chenier, Turandot, Carmen, Missa de Rèquiem de Verdi, Don Carlo, La Forza del Destino, Stiffelio, Fedora and Jerusalem. As for his cinema activities, two films stand out: Romanza Final, in which José Carreras portrays the life of Julián Gayarre and A Life Story, a report on Mr. Carreras life and artistic career. A Life Story, nominated in Hollywood, was awarded an International Emmy Award in 1993 by the Academy of Arts and Sciences of the US Television. Among the numerous national and international prizes and distinctions which have been bestowed upon José Carreras, there are the Grand Prix du Disque from the Academy of Paris; the Luigi Illica Prize; a 1991 Grammy Award; the Sir Lawrence Olivier Award for his performance in “Stiffelio” at the Royal Opera House, Covent Garden; Kammersänger and Lifetime Honorary Member of the Vienna Staatsoper; Honorary Member of the London Royal Academy of Music; he received the Gold Medal of the New York Spanish Institute; the Honorary Gold Medal of Vienna & the Medal of Honour in Gold of the Federal Capital of Vienna; the Gold Medal of Fine Arts bestowed by His Majesty the King of Spain; the Gold Medal of the City of Barcelona; the Gold Medal of the Generalitat of Catalunya; the Gold Medal of the Gran Teatre del Liceu; the Honorary Medal of the City of Leipzig; Prince of Asturias Award 1991;the Albert Schweitzer Music Award 1996 and the Classical Brit Award 2009. He is Honorary President of the London Arts Orchestra. He is Commandeur de l’Ordre des Arts et des Lettres and Chevalier dans l’Ordre de la Légion d’Honneur de la République Française; Gran Croce di Cavaliere and Grande Ufficiale della Repubblica Italiana; Honour Medal of the Bavarian Government, Grand Honour Award of the Austrian Republic, Komandor’s Cross of the Order of Merit of the Polish Republic, Commandeur de la Médaille du Sahametrei of the Royal Cambodian Government and Goodwill Ambassador of UNESCO. IN 2004 he received the Civil Order Golden Cross of the Social Solidarity bestowed by Her Majesty the Queen of Spain, doña Sofía; the National Order Steaua Romaniei (Etoile de la Roumanie) of Romania in a degree of Grand Officer and the Big Cross of the Order of Merit of the Federal Republic of Germany. He has also been awarded the title Doctor Honoris Causa by the University of Barcelona (Spain), the Universities of Loughborough and Sheffield (United Kingdom), the University Mendeleyev of Moscow (Russia), the University of Camerino (Italy), the Napier University in Edinburgh (Scotland), the Rutgers University (United States), the Miguel Hernández University of Elche (Spain), the University of Coimbra (Portugal), the National University of Music in Bucharest (Romania) , the University of Marburg (Germany) the University of Pécs (Hungary), the University of Porto (Portugal) and, most recently, Honorary Rector by the Hyunghee University in Korea. He is Honorary Member of the European Society for Medicine, of the Leukaemia Support Group, the European Haematology Association and the German Society of Paediatric Oncology and Haematology. He is also Honorary Patron of the European Society for Medical Oncology. He has been awarded the Golden Medal of the Catalan Transplant Society, the Diamond Tulip Award of the Stichting Day by Day Foundation of the Netherlands and the St. Boniface General Hospital Research Foundation 1996 International Award. In 1992 José Carreras was engaged as Musical Director of the memorable Olympic Games held in Barcelona. 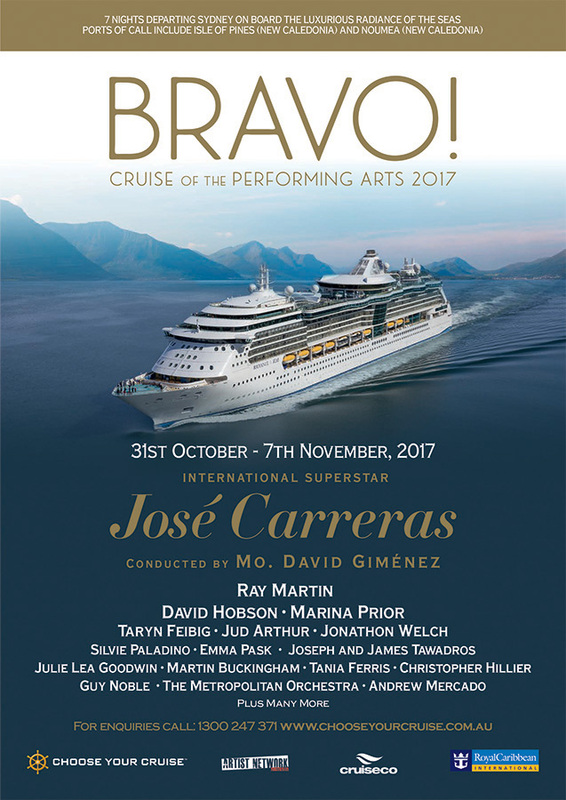 The 3 Tenors concerts offered by José Carreras together with his colleagues Plácido Domingo and Luciano Pavarotti, are now legendary. Followed by world-wide audiences of over two billion, they have created an unprecedented impact in the world of opera. Since 1988, in addition to his professional activities, he presides with total dedication and enthusiasm over the “José Carreras International Leukaemia Foundation” established in Barcelona and with branches in the United States, Switzerland and Germany. Currently his Leukaemia Foundation is one of his most important goals and priorities.